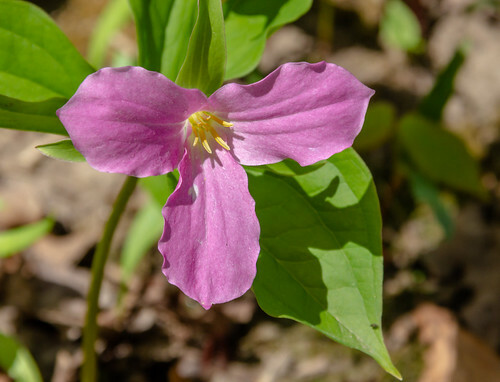 Trilliums and other wildflowers were plentiful on the Family Hike at the Bannockburn Conservation Area hosted by the Bayfield River Valley Trail Association (BRVTA) on May 12. 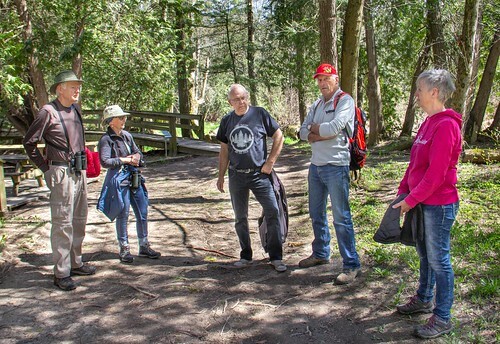 Those who participated in this hike enjoyed great weather and were encouraged to bring their wildflower books to help increase their knowledge and to share with other hikers. Bannockburn is home to six different natural communities: wet meadow, white cedar, deciduous forest, marsh, old field and aquatic. The trail is 2 KMs long, difficulty is level 3. The trail is also partially wheelchair accessible. The conservation area is located at 76249 Bannockburn Line, the first road east of Varna. The most recent hike organized by the BRVTA was very successful offering up great weather and wonderful wild flowers. 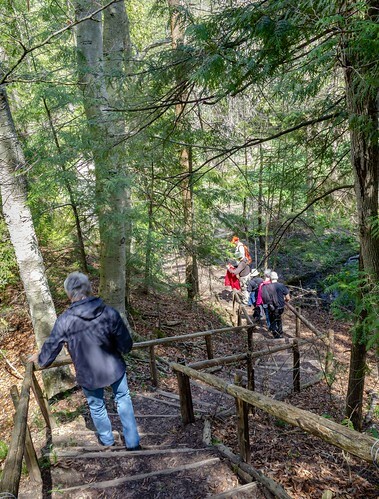 Adriaan Schreuder is seen at the top of the stairs during a hike organized by the Bayfield River Valley Trail Association along the Bannockburn Trail. 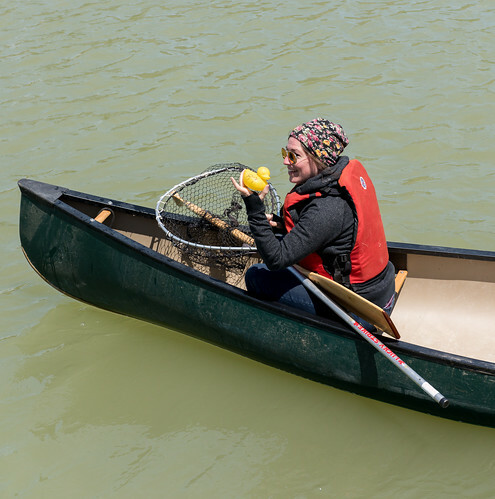 After a long winter, 27 beaches and nine marinas across Canada are welcoming the upcoming beach and boating season by raising their prestigious Blue Flag eco-certification. The Blue Flag represents the internationally recognised gold-standard for water quality, environmental management and education, safety and amenities. Environmental Defence is the Canadian Operator of the Blue Flag Program. Environmental Defence is Canada's most effective environmental action organization. It challenges and inspires change in government, business and people to ensure a greener, healthier and prosperous life for all. This year’s Bayfield Lions’ Club’s Walk for Dog Guides will take place on June 3 starting at Clan Gregor Square. 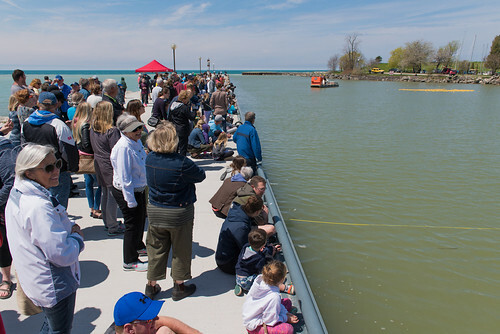 Registration will begin at 9:30 a.m. with the walk to follow at 10 a.m. Those unable to attend the walk are invited to visit with the organizers at the Bayfield Farmers’ Market on May 25 at 3 p.m. or in front of the library on May 26 at 2 p.m. People can find out more about the program as well as make pledges and give donations for the Dog Guide campaign. “Our post-walk dog event on June 3 will start at 11 a.m. from the Lions’ portable stage in the middle of Clan Gregor Square. Even if you cannot make the walk, join us for this informative program for dog lovers. Elizabeth Jaremko and her Hearing Ear Dog, Heart, will join us again. Her experience with her life partner and best friend is clearly what this program is all about,” said Jack Pal, event organizing chair. People will also be able to say hello again to Bayfield’s former Dog Guide Pup-in-Training, Essex, now fully grown, who is back in town for a visit with his owner Sylvie Tafts. In addition, there will be numerous activities and presentations highlighting: Therapy Dogs, Police Dogs, Dog health, training and grooming as well as a full-scale Dog Agility demonstration presented by Bonnie Hirst of Greenacre Dog Agility and Training…along with hot dogs. And Melissa Brighton will also be back with her fun quiz about dog health…with prizes donated by PetValu! This should be an entertaining, educational and fun event for the whole family. New this year are dog portraits. The Photography Club of Bayfield is providing portrait sittings for dogs with or without family members, for $20, all of the proceeds will go to the Lions Foundation. Participants will get three high definition photos via email. The mission of the Lions Foundation of Canada, which thanks all local Lions Clubs for their annual participation, is to provide Dog Guides, at no cost, to Canadians with a medical and/or physical disability. 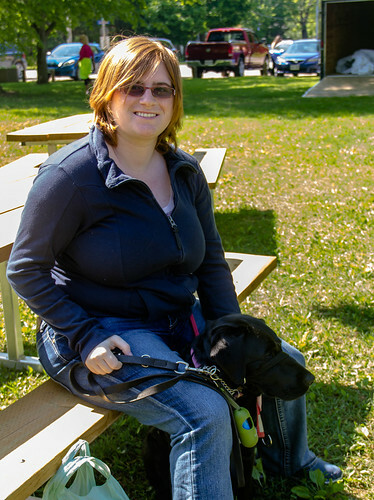 The annual Walk for Dog Guides is its single largest annual fundraising event that raises funds to help breed, train and match Dog Guides with Canadians with disabilities, at no cost to them. It can cost upwards of $25K to raise and train a single dog. Thanks to sponsors like the generous donors in Bayfield, 100 per cent of all funds raised goes directly toward raising, training and providing Dog Guides. More than 200 walks take place each year across Canada raising more than $1 million annually. •	Canine Vision Dog Guides for people who are blind or visually impaired. •	Hearing Ear Dog Guides for people who are deaf or hard of hearing. 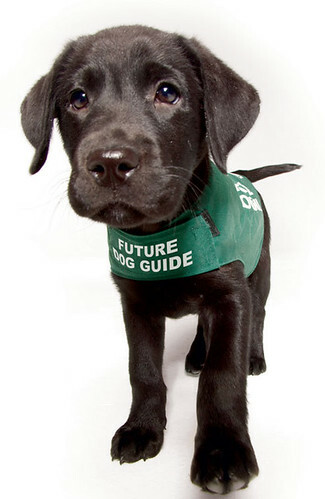 •	Service Dog Guides for people with physical disabilities. •	Seizure Response Dog Guides for people with epilepsy. •	Autism Assistance Dog Guides for children 3-12 years of age with autism spectrum disorder. •	Diabetic Alert Dog Guides for individuals with type 1 Diabetes with hypoglycemic unawareness. “Mark June 3 on your calendar, come to the Square and be sure to donate generously to this worthy cause. Bayfield has been there since the inception of the walk 32 years ago and its fundraising on a per capita basis ranks near the top in Canada. Let’s keep with that tradition!” said Pal. Pledge forms are available from many merchants and restaurants in Bayfield and any Lion. Anyone who wishes can also make a local Bayfield donation online as an individual or as a team by going to: www.walkfordogguides.com or call Jack Pal at 519 565-5340 for more information. Tax receipts are issued for all donations of $20 or more. Please join the Bayfield Town Hall Board of Directors for their Sixth Annual Community Luncheon on Monday, May 28. It is a wonderful opportunity for the community to come together and hear about the Town Hall accomplishments in 2017, as well as find out about all the great events and projects planned for the current year. Starting at 11:30 a.m. attendees will enjoy delicious lasagna and salad followed by coffee and dessert. Space is limited so people shouldn’t wait to get their tickets. Also, the Board needs to order food for this event and wants to be able to feed everyone. Anyone who doesn’t already have tickets, is requested to get them as soon as possible so the food order is sufficient. Tickets are $10 and are available by calling Sandy Scotchmer at 519 565-2830 or Patricia Baker at 519 955-1456. Treasure seekers should mark June 2 on their calendars as the Bayfield and Area Chamber of Commerce (BACC) is promoting their fourth Town Wide Yard Sale and Village Side Walk Sale on that date. Residents in the community are encouraged to hold a yard sale at their home on that date and local merchants will be offering up some side walk sales that day as well. Are you hosting a yard sale on June 2? Share the location details and times with the Bayfield Breeze! We will publish a list of locations in our May 30th issue. Please submit by Sunday, May 27 at 4 p.m. to be included. For those with an interest in classical music, the BTHHS will also host an “Evening with Beethoven”, performed by members of the London Symphonia on Thursday, May 24. At its core, the London Symphonia is a professional symphony committed to performing vibrant and bold musical experiences for London and the region. It was officially named in January 2017, replacing the #WePlayOn identity, chosen on a temporary basis, months after the old Orchestra London collapsed. It is now London’s foremost orchestra, celebrated as one of the best in Canada. Performers will include: Christine Newland, Cello; Joseph Lanza, Concertmaster; Andrew Chung, Violinist; and Jennifer Short, Second Oboe/English Horn. Tickets are $30 in advance and $35 at the door if any remain. For tickets please contact Mike van Baardwyk, 519 565-5489, Pat Baker, 519 955-1456, or Shelagh Sully, 519 565-2572, or purchase online at www.ticketscene.ca. Doors will open at 7 p.m. and the concert will start at 7:30 p.m.
An introduction to Nordic Pole Walking is currently taking place. Interested individuals are asked to meet at the Hive of Bayfield (next to Shop Bike Coffee) at 10:15 a.m. A short period of instruction will be followed by a 10 to 20-minute walk. The dates are May 24, 29 and 31. A long-standing Bayfield tradition is ready once again. The Outdoor Flea-Produce Market opened in Agricultural Park on Sunday, May 20. Vendors included antique dealers, arts and crafts, farm produce in season and collectables. The Market, in good weather, opens every Sunday from 7 a.m. to 1 p.m. from Victoria Day Weekend to Thanksgiving. Anyone interested in being a vendor should contact Jack at 519 482-7921 or if there are any questions about the Market, contact Jim at 519 565-2328. The vendors are all from the local community. The Market has always been a place of business but many of the people attending enjoy it as a social gathering place. Many people are huddled in conversation as they catch up with their lives. It becomes the place to see neighbors or friends. 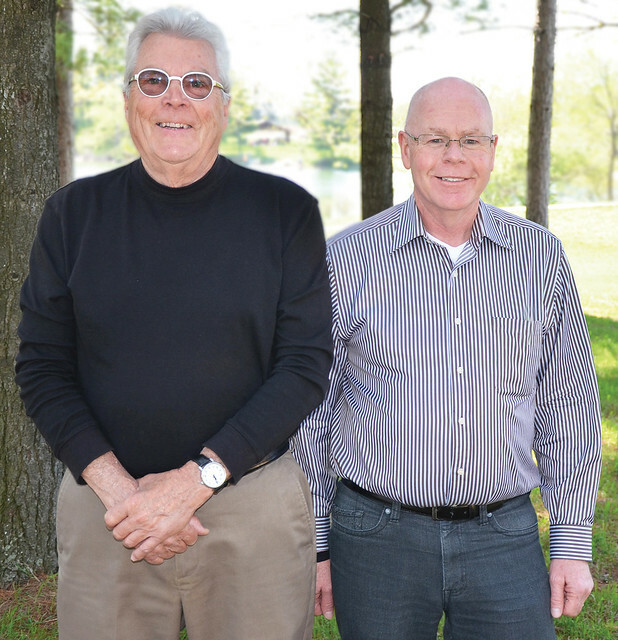 The Investors Group Walk for Alzheimer’s will take place on Saturday, May 26. Walks will begin from the Betty Cardno Memorial Centre in Clinton; South Huron District High School in Exeter; and the Maitland River Community Church, in Wingham. The three walks will begin at 10 a.m. with registration beginning at 9 a.m. This is an event for all ages, with routes of varying lengths, participants can select their own personal goal; no walk is too short to show support. Families who have been faced with the challenges of dementia will be honored at each location: the Feltz family in Clinton, the Carroll family in Exeter and the Eadie family in Wingham. To register for an Investors Group Walk for Alzheimer’s or to donate online, get started at www.walkforalzheimers.ca. Click Ontario in the first drop down menu and then select Clinton, Exeter or Wingham, on the following page. Individuals can register, start or join a team, pledge someone or make a donation towards one of the events.Participants that raise $100 or more will receive a t-shirt at the walk. The Society is looking for volunteers to assist with the Walk. Anyone who would like to get involved in this event or are interested in other volunteer opportunities that are available, please call 519 482-1482 or email admin@alzheimerhuron.on.ca. It’s the time of year for increased outdoor activities. The Huron County Health Unit (HCHU) reminds people to be careful if they come across discarded needles or other sharp objects on beaches, parks or other recreational areas. “While the risk of being infected with a disease can be low, it is important that people know what to do if they come across a sharp object,” said Michelle Carter, Public Health nurse. •	A child should never touch any needle. Tell them that used needles can be dangerous and might make them sick. •	If children see a needle, they should tell an adult where the needle is. •	If a child is poked by a needle, they should tell someone right away. The child will need to see a healthcare provider immediately. Adults can safely pick up a sharp object by the following steps: Get a free sharps container if you find a needle. Call the Health Unit at 519 482-3416 (1-877-837-6143) or after hours at 519 482-7077 to ask where in your community you can get a sharps container and where you can take it after you have put the sharp object in. If that is not possible, bring a non-breakable, puncture proof container with a screw-top lid to where the sharp object is. Use a thick plastic jar, empty bleach bottle or water bottle. Use pliers, tongs or tweezers to pick up the object. If it is a needle, hold the needle tip away from you. Put the needle into the container needle end first. Close the container tightly. Wash your hands. Take the container to the site recommended by the health unit. If you have been scratched, poked or cut by a discarded sharp object, let the cut bleed freely. Wash the area well with soap and water. Afterwards, apply an antiseptic like rubbing alcohol or peroxide. Follow up with a healthcare provider immediately. For more information, visit www.huronhealthunit.ca/needles. 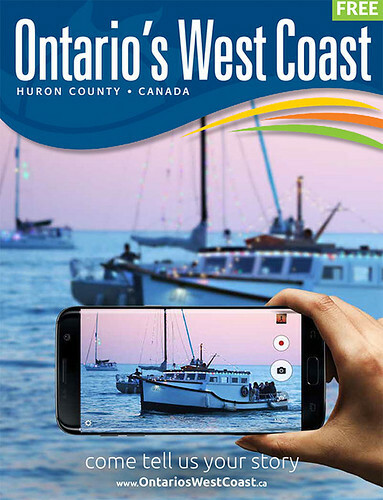 People can get their guides at one of the Huron County libraries. Individual library hours of operation can be found here: www.huroncounty.ca. A special shout out to Library Services for making that happen. For anyone looking for larger volumes of guides (i.e. 50 plus at once) please contact Reanne Clark, at the Huron County Economic Development Department (HCED), by email at reanneclark@huroncounty.ca or by phone at 519 441.2706) to arrange pickup. Many people were involved in creating this new guide and the HCED team would like to thank them all. A special thanks to Erin Samuell and Rick Sickinger; without them the guide would not have been possible. The Goderich Little Theatre (GLT) will present “Ten Lost Years” on their stage in early November. They are currently looking for local stories to flesh out the script. Please contact McGregor at mcgregor@ezlink.ca or call 519 523-9396. This June the GLT will be offering a workshop program to fill their fall rehearsals. To date to create the script, authors Jack Winter and Cedric Smith have used materials supplied from the writings of Barry Broadfoot and Harry Boyle with input from Blyth historian, Brock Vodden. “These accounts will show how our heritage had much in common with the rest of the country during those times,” said McGregor. “Ten Lost Years” will bring to the Livery stage the struggles that people had to endure through the challenging years of the Great Canadian Depression (1929-39). It is hoped that scenes in this play will astonish theatre-goers with the creative resilience and ingenuity of people existing in a human tragedy not of their own making. “This is an uplifting adventure about suffering, bravery and moral triumph during the hardest of times,” said McGregor. The GLT has a fine history of telling the stories of local heritage through plays such as, “The Tiger’s Lion” and “The Great Storm”. McGregor directed the Governor General’s Award-wining production of “Narcisse” (2011) and “The White Hurricane” (2013). Dr. Allan Lauzon, Research chair at Gateway Centre of Excellence in Rural Health (GCERH) and a professor and researcher at the University of Guelph, has recently submitted a proposal to OMAFRA for a research project, "Food Insecurity and Rural Seniors Living Independently: An Exploratory Study in Huron, Perth, Bruce and Grey Counties". His successful proposal provides funding in the amount of $134,000. The evident concern for GCERH and Dr. Lauzon, that rural populations face many unique needs in terms of geriatric care, allows this research opportunity to intersect with GCERH’s vision of improving health care and health care delivery through research and the creation of a knowledge economy. Not only are rural populations aging faster than urban populations, but there is also a greater proportion of senior citizens in rural areas. This research project will look into maintaining and improving the health and quality of life of the rural population who are 65 years of age or older and living independently, through understanding their relationship to food. This is a population that has been largely ignored. Examining the relationship between food and people from a lifespan perspective, it has been found that the relationship between seniors and food fluctuates because of biological and social changes. This research project proposes to examine the constellation of factors that impede Seniors’ access to nutritious food and challenges associated with their capacity to utilize nutritious food once it is obtained. The ability to utilize food may be problematic for a variety of reasons including physical constraints and for food literacy, particularly as it applies to the management of chronic disease such as diabetes or heart disease, cognitive functioning, isolation and motivation. The health of rural populations is poor compared to that of urban populations and has been seen as detrimental due to the high demand the senior population is placing on the rural health care systems. With the healthcare system subscribing to a “home first philosophy”, it is important to ensure seniors are able to stay in their homes if desirable and safe, as research has demonstrated that discharge from the hospital is a critical time in the life of a senior. Food security, otherwise known as having safe and nutritious access to food supplies, is heightened in individuals with inadequate income. A fair proportion of seniors are living below the Low Income Cut Off, suggesting that food security is very important for their health and quality of life as there are declines in nutritional status associated with increased mortality and morbidity. Rural seniors are different from other populations that may be at risk as seniors may experience food insecurity as a result of inadequate income, limited physical access (i.e. transportation issues and the presence of food deserts limiting the availability of nutritious food), functional impairment that prevents seniors from obtaining food or preparing food, lack of knowledge of food preparation (particularly for senior men) and social isolation. These issues may be exacerbated for rural seniors for many reasons: rural areas have lower incomes, lower educational levels and often higher grocery prices (about 10 per cent higher). There are greater transportation challenges, increasing numbers of “food deserts” as grocers consolidate in larger centres, a greater likelihood of social isolation, and fewer services such as “Meals on Wheels” due to population density, distance and the challenges of inclement seasonal weather. Food insecurity for rural seniors living independently contributes to the decline of their health, quality of life and leads to increased costs in the healthcare system. The results of this research will aid in realizing the goal of supporting rural seniors to live independently as outlined in Ontario’s Action Plan for Seniors (2017), by identifying the nutritional challenges rural seniors face that may impede their ability to live independently. Through this research, the necessary assets outlined in Ontario’s Food Security strategy: physical, social, financial and human assets will be addressed. The holistic perspective being undertaken in this study will allow exploration into these various assets and assess their presence, and where appropriate, make recommendations of how a deficiency in this population might be addressed. It might also provide an opportunity to explore how Ontario’s local food strategy with an emphasis on access to, and literacy education about, can be used to address the nutritional needs of rural seniors. In addition, it will be of interest to the South West Local Health Integration Network (SWLHIN), public health officials and municipalities allowing them to address resource issues and services to confront the needs of rural food insecure seniors. Adequate nutrition keeps seniors healthy and living independently, and less likely to utilize the healthcare resources. Dr. Al Lauzon is looking forward to leading this research with the help of his research team Dr. Kyle Whitfield and Dr. Lars Halstom, both from the University of Alberta, Dr. Kathleen Kevany of Dalhousie University and Gwen Devereaux, of GCERH. This project is a three-year project and is funded through OMAFRA’s Food for Health research program. Aligning with the GCERH goals, not only will this research opportunity create better healthcare for the community, it will also provide employment to the region for two undergraduate students for this and next summer. Over the past 10 years, GCERH has strived to formulate connectivity throughout the region to stimulate a knowledge economy and this partnership has delivered the possibility to reach Gateway’s quest. 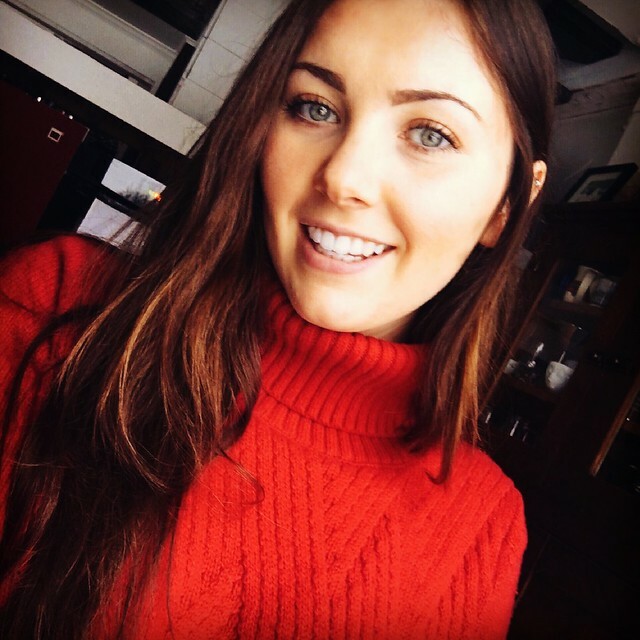 Grace Bonnett joins (GCERH) as a summer student after having recently completed her second year at the University of Toronto. She is pursuing a Bachelor of Science in Life Sciences, with a major in Human Biology and a double minor in Immunology and Sociology. Bonnett will be working in conjunction with the AMGH Foundation and the YMCA of Goderich-Huron to organize the Fifth Annual Hometown Heroes Hockey Game. She will also be assisting with this summer’s research team and continuing to promote Gateway’s community involvement, celebrating their 10th anniversary. While she is passionate about a number of health-related fields, she hopes that working at GCERH will broaden her scope and open up new opportunities and interests for her. Having grown up in Huron County, she is looking forward to enhancing her knowledge of the unique healthcare needs and challenges that are faced in rural Ontario. In doing so, she wishes to expand the availability of resources and opportunities to rural areas, like Huron County. 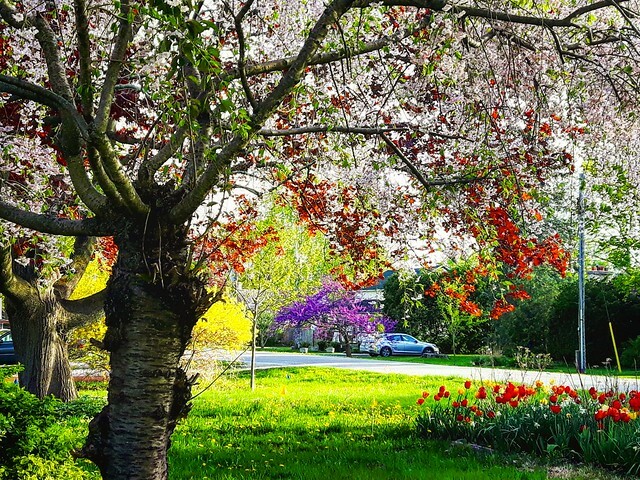 The Grand Parade is a family-friendly 2 or 5 KM walk along the Avon River in Stratford. The Grand Parade is about local people walking to support local seniors and frail elderly and to celebrate older adults. For One Care it is an opportunity to raise awareness and funds to support people who use the services. The Grand Parade will be held from 9 a.m. to noon starting at Knox Presbyterian Church in Stratford and with a walk along the Avon River. The event will include opening ceremonies, The Grand Parade walk and a light lunch. Walkers, donors and volunteers are welcome to get involved. Registration is now open at the Grand Parade website thegrandparade.org/home or at the One Care website onecaresupport.ca or by calling 1-877-502-8277. As people spend more time outdoors, the Huron County Health Unit (HCHU) reminds everyone to protect themselves against tick and mosquito bites. West Nile virus is spread to humans through the bite of an infected mosquito. The easiest way to prevent infection is to prevent mosquito bites, especially during dawn and dusk when many mosquito species are most active. Lyme disease is spread through the bite of an infected blacklegged tick. A tick must be attached and feeding for at least 24-36 hours before the tick will start to transmit the bacteria, so early detection and removal is important. · Wear light-coloured, long-sleeved shirts, long pants and closed-toed shoes. · Use an insect repellent approved by Health Canada and always read and follow the manufacturer's instructions. · Conduct head-to-toe tick checks, remembering to check children and pets as well. · Shower after returning from the outdoors to wash off any loose ticks. · Put your clothes into a dryer on high heat for 60 minutes to kill any possible ticks. · If you find a tick on you, remove it using tweezers, grasping the tick as close to the skin as possible and pulling straight out slowly but firmly. Place the tick in a container and bring it to your healthcare provider or the HCHU for identification and testing if needed. The HCHU conducts mosquito and tick surveillance programs. The Health Unit’s West Nile virus mosquito trapping program will begin mid-June. To help build a better understanding of the different tick populations in Huron County, the Health Unit will be conducting tick dragging in the spring and fall. For more information on West Nile virus and Lyme disease and ways to protect yourself, visit www.huronhealthunit.ca. 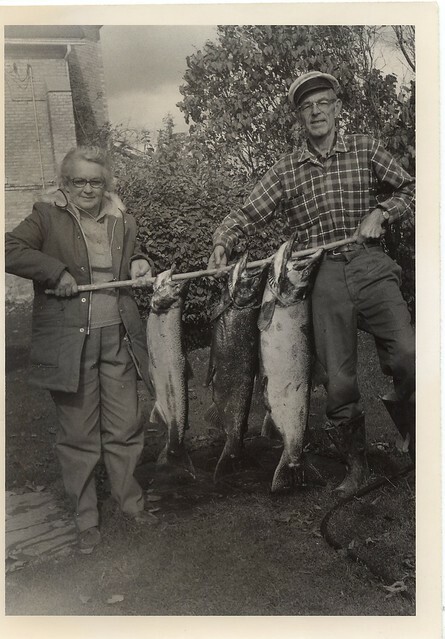 Once again Jane and David MacLaren, provided their boat from which to launch the ducks. Several passing kayakers jumped in to help at the eleventh hour. Their services were greatly appreciated. 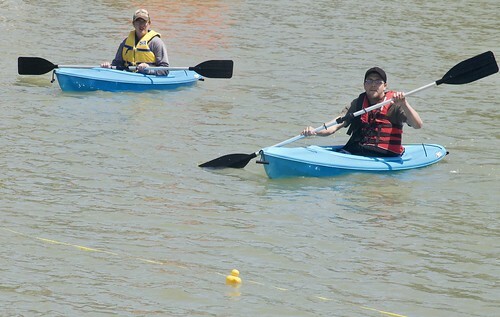 It was a one duck race early on as #89 ventured solo across the line to finish first. Luke Shanahan, Jenny Allan and their son, Weylin, and others helped with keeping the ducks corralled. 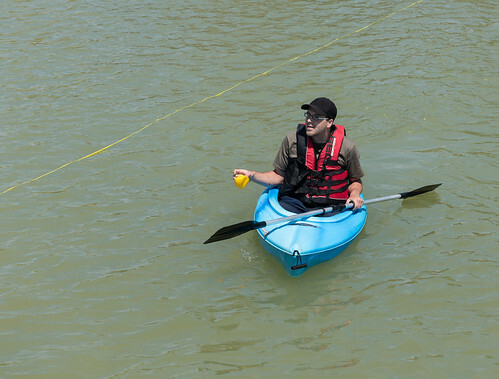 For about 20 minutes on Sunday afternoon the Bayfield River was a sea of yellow as 1,250 rubber ducks were dropped as part of the annual Bayfield Optimist Club’s Rubber Duck Race. On May 20, the race took place off the South Pier in the Bayfield Harbor. This year the first five ducks that crossed the finish line won prizes. First prize was a patio set, valued at $600 and donated by Lake Huron Realty. 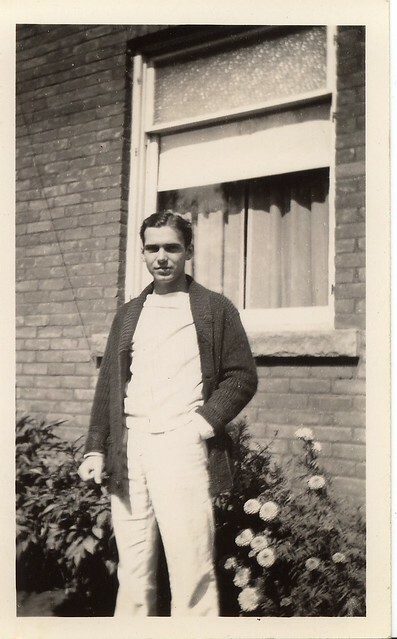 It was won by Terry Hayes of Toronto. Second and third prizes were electric race cars valued at $285 and donated by the Bayfield Garage. They were won by Wesley Small, of Bayfield; and Scott Gregory. Fourth prize, a 32-inch television valued at $250 and donated by Remax Reliable, was won by Don Neil, of Bayfield. Fifth prize, an overnight at The Albion Hotel donated by the Graham family, went to Jeff Watsen. 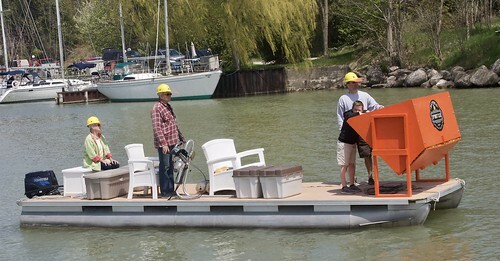 The club is indebted to those friends of Optimism who helped with the race, including, Jane and David MacLaren, who provided their boat from which to launch the ducks. 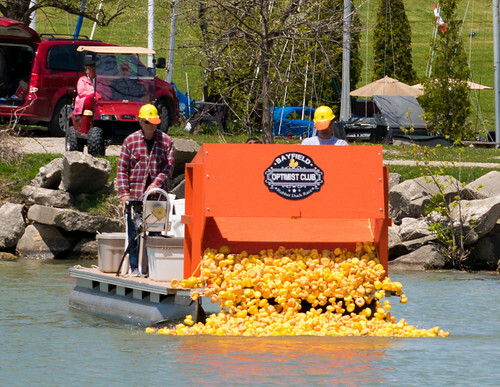 The amazing duck launcher created by Optimist Glen Steinson was used was again allowing all 1,250 ducks to hit the water at approximately the same time! Charlie Greidanus helped load and unload the launcher while young, Kevin Steinson was given the honor of releasing the pin to set the ducks free. The services of veteran canoeists, Luke Shanahan, Jenny Allan and their son, Weylin, as well as Al McDougall and several passing kayakers who jumped in to help at the eleventh hour were greatly appreciated. It truly takes a village to make this event a success. Money raised from the race will go toward the Optimist Club’s many “friends of youth” projects. To learn more about coming Bayfield Optimist events please click on their advertisement in the Bayfield Breeze. By doing so you will be sent directly to their website! On Sunday afternoon, my six year-old grandson decided he’d like to explore our new backyard all on his own. 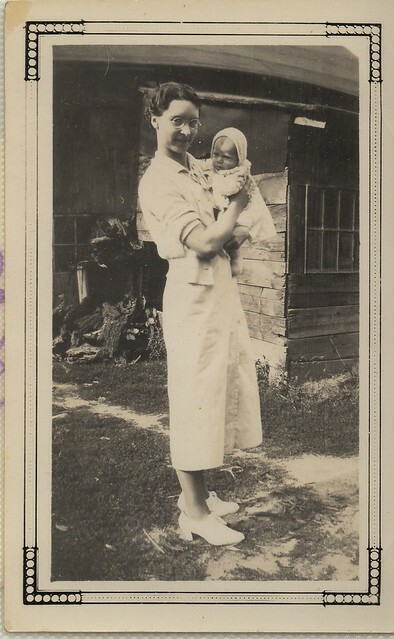 His mom gave him the okay to go where he pleased as long as he could see us wherever he ventured. One minute he was on top of a knoll to the south-east and the next moment he was making his way north and standing on top of the tallest hill on our property. He stood there shouting into the wind. I may have failed to mention that what he considers to be our new backyard is about 80 acres in size.